Amid jobless growth, individuals with professional qualifications like B.Tech and MBA are in the race to bag sweeper and sanitary worker posts in the Tamil Nadu Assembly Secretariat. Unemployment in India is 45 years high. Last week, the National Sample Survey Office’s Periodic Labour Force Survey indicated that the unemployment rate in India is at a 45-year-high of 6.1 percent in 2017-18. However, the government dismissed the claims. According to media reports, two independent members of the National Statistical Commission resigned after the government purportedly failed to publish the report that was prepared last month. The report is still not public. Now, in different news, it was found that a total of 4,607 individuals applied for a post od sweeper in the Tamil Nadu Assembly Secretariat. Among the 4,607 individuals, People with professional qualifications such as M.Tech, B.Tech and MBA, postgraduates as well as graduates are in the race to bag sweeper and sanitary worker posts in the Tamil Nadu Assembly Secretariat. It is also reported that 93,000 applicants, including Ph.D. holders, are vying for 62 peon posts in Uttar Pradesh and 7000 candidates applying for 13 vacancies of waiters at the canteen in Mantralaya in Mumbai. Last year, Indian Railways recorded 2.66 lakh vacant jobs, shows a Right To Information (RTI) query cited in the latest report. 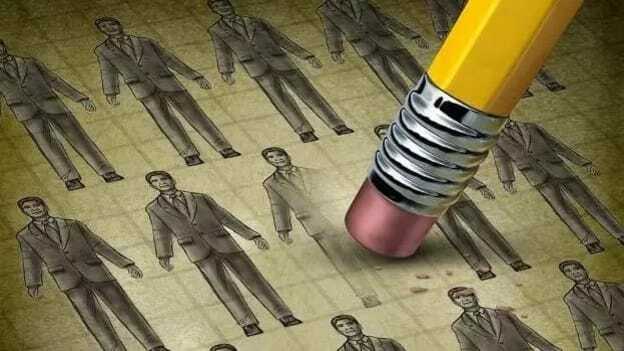 While the most recent recruitment drive will reportedly hire less than half of the already existing vacancies. Over 25 million people applied for 90,000 vacant posts in March last year, according to the report.